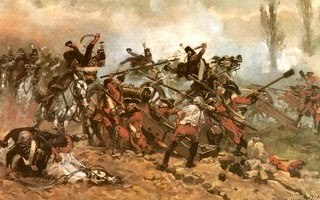 Carryings On Up The Dale: Battleground show and the battle of Seneffe 1674. 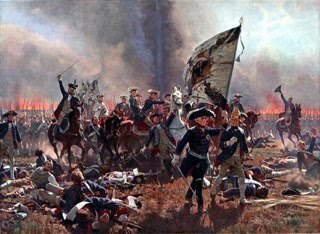 Battleground show and the battle of Seneffe 1674. 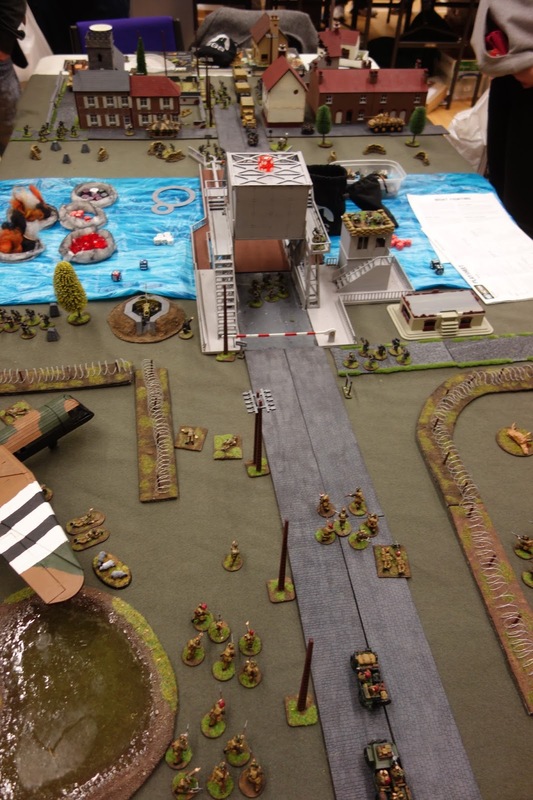 We got home this afternoon after an excellent day in Stockton at the Battleground wargames show. Readers will know that this year I put a game on under the 'Carryings on up the Dale" banner rather than like in the past couple of years when I put games on with Robbie of the Independent Wargames Group. The net result for the organisers was that they were guaranteed two excellent games among what was on the day a very strong range of demonstration and participation games, many of which (of the ones I actually got to see) were pretty good, imho anyway. It goes without saying that I could not have put the game on without the support of friends who volunteered to play on the day; Paul and James from Grimsby, John from Stockton, Douglas from Falkirk, and Tim and Barry from Mansfield. Of course without my wife Katherine's help in packing the car, driving and helping to set up on Friday evening as well producing my handouts and my 'banner' and feeding me copious quantities of mind altering drugs for my back we wouldn't even have got as far as the game. So all in all I think I am very fortunate to have such a supportive better half and a great bunch of mates, to whom I am all really, really extremely grateful. 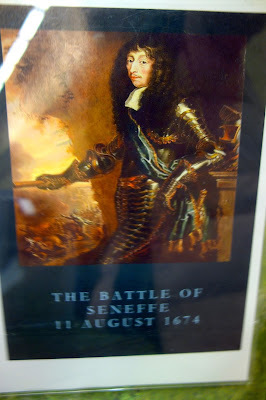 Before I go into any detail about the outcome of the battle of Seneffe, what follows are some photos taken by Katherine of the games on display. I've not used all of the ones she took (over 100) for obvious reasons and some games have been omitted due to my camera being crap, poor light, photobombing and the like (Note, not my wife photography skills) which are better than mine at any rate. So fasten your seatbelt and place your seats in an upright position. 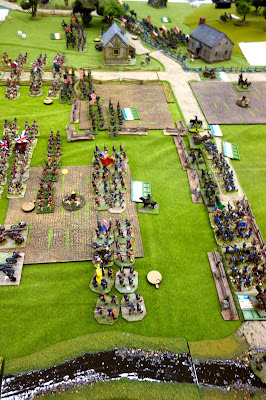 This and the following three pics are of Conrad Cairns' (Durham Wargames Group) 1848 Hungarian Revolution game in 42mm. Fantastic, especially the train! 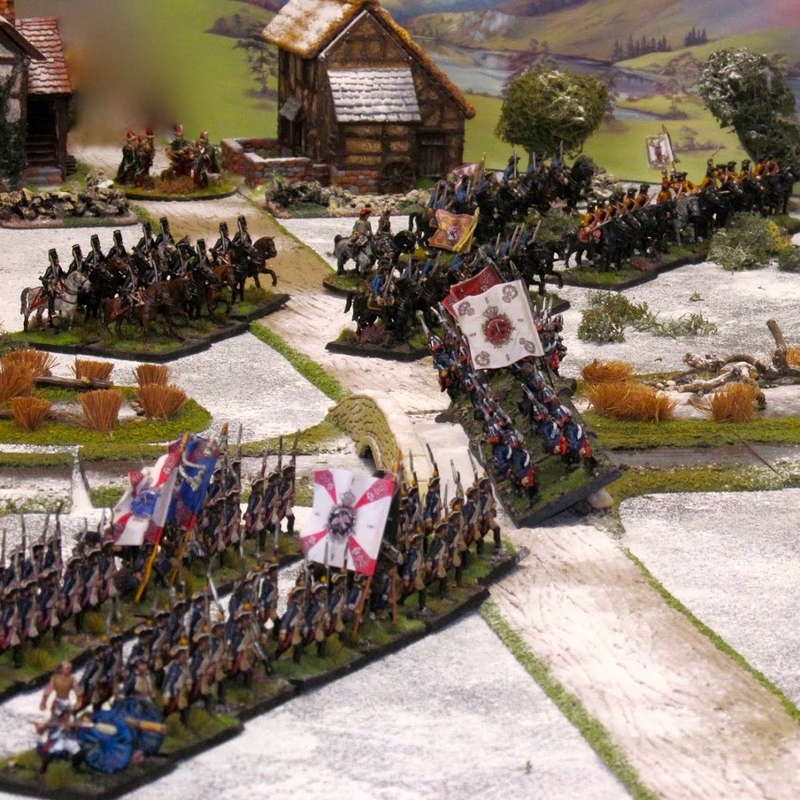 Stafford and Districtput on a rather nice 10mm War of the Spanish Succession representation of the battle of Oudenard. Redcar Ironbeards WW2, part 2. Stalin keeps going west! My mates Robbie, John and Neil of the Independent Wargames Group staged this exceptionally colourful ACW game. All the figures were from Robbie's enormous and gorgeously presented collect. It looked great. No idea who won though judging by Robbie's mutterings around midday the Confederates were taking a whipping. I may be wrong. The other Durham game was also ACW; Port Republic from the 1862 Shenandoah Valley campaign. I've seen this before but it looked great. I think this was Scarborough and a D-Day Pegasus Bridge game. Westerhope's Wellington in India game, a period that has always tempted me. The figures were gorgeous. How did the elephant get into the courtyard and how will it out? Border Reivers' battle of Quatre Bras. 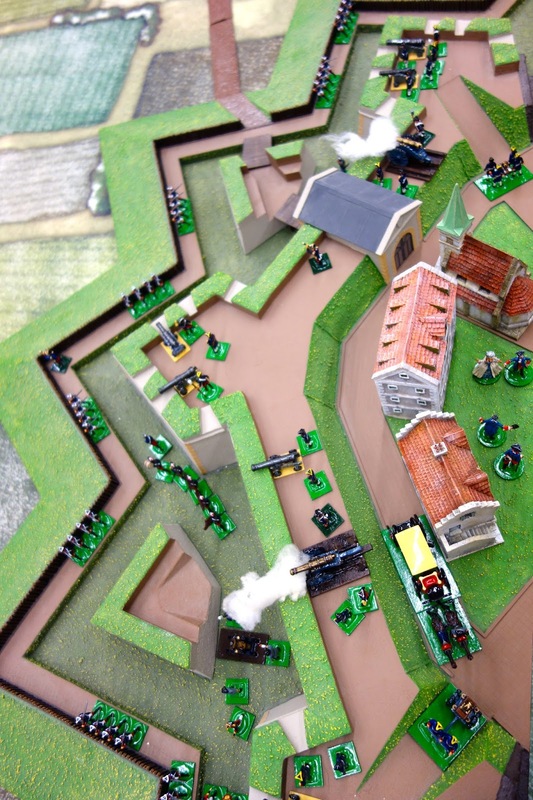 Old Guard Wargames - 10mm ACW. 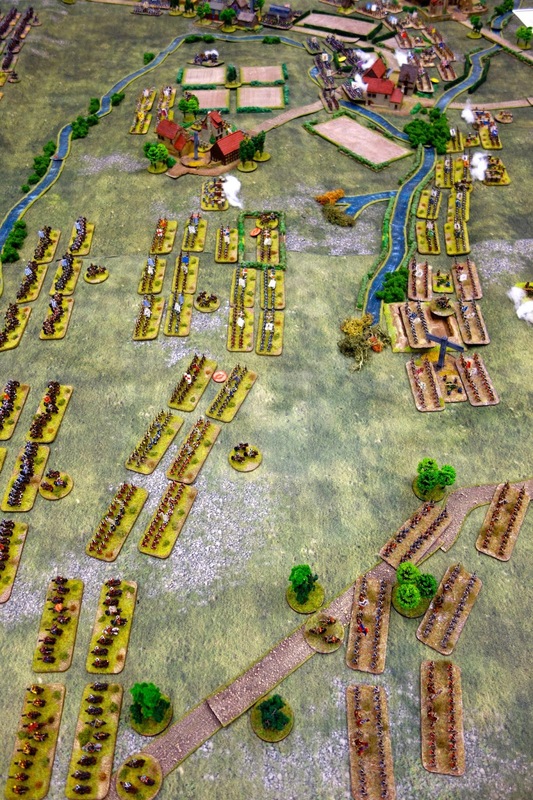 Stafford & District's Battle of Oudenard in 10mm again. And now on to our game, a representation of the Battle of Seneffe in 1674. French under the Great Conde. Dutch, Spanish and Imperial troops under William of Orange. 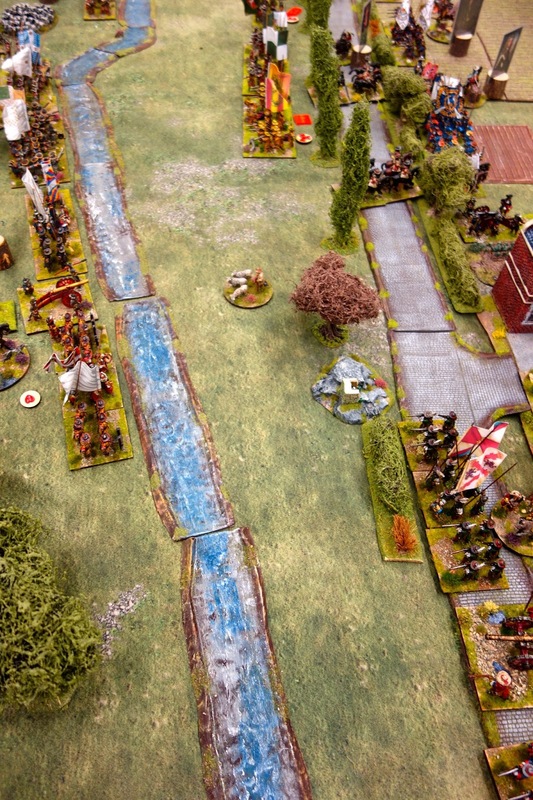 The battle started badly for the Allies when with his very first throw of the dice Douglas managed a blunder, sending six of his battalions swerving off towards the French while still in march column. I seem to have 'lost' that picture but although the French took advantage of the mishap to batter several of the unfortunate units quite badly, the Allies soon recovered. 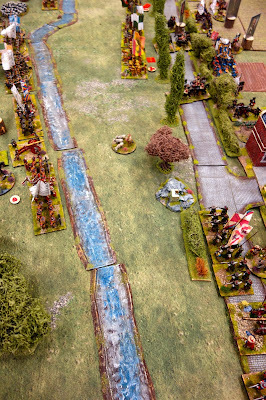 The French advancing on the Allied masses. 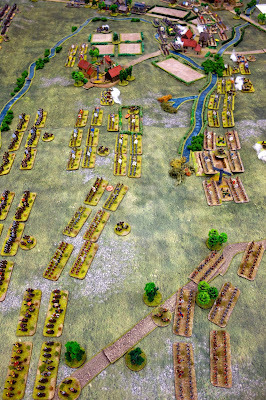 The cavalry had originally been deployed in the centre but were trying to get over to the left to support the Maison du Roi. The blundering Germans have just managed to recover from their uncontrolled advance towards the enemy and deployed into line. The Spanish contingent holding the left of the Allied line around Seneffe. The Allied centre. 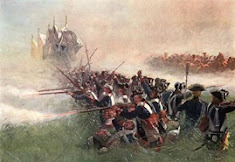 In front a brigade of troops from Hannover, Celle and Brunswick, supported by the Dutch Guards. A massive cavalry fight developed on the Allied right. 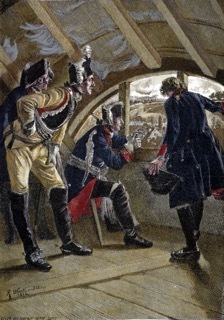 Initially successful in driving back the Imperial cuirassiers the cavalry of the Maison du Roi were pushed back by the Dutch horseguard and lifeguards and more Dutch horse and eventually the cream of the French army melted away. French horse trying to get over to their left to plug the gap left by the collapse of the Maison du Roi. The French artillery hardly moved during the game. I don't know why, but they would have made a difference had they been brought into action. My windmill and a new built up area/coaching inn, occupied by Dutch dragoons. Their flanking fire contributed to the demise of the French left wing. The Dutch were by now taking the battle to the French, who's line had been angled back at the church to cover their now exposed left. 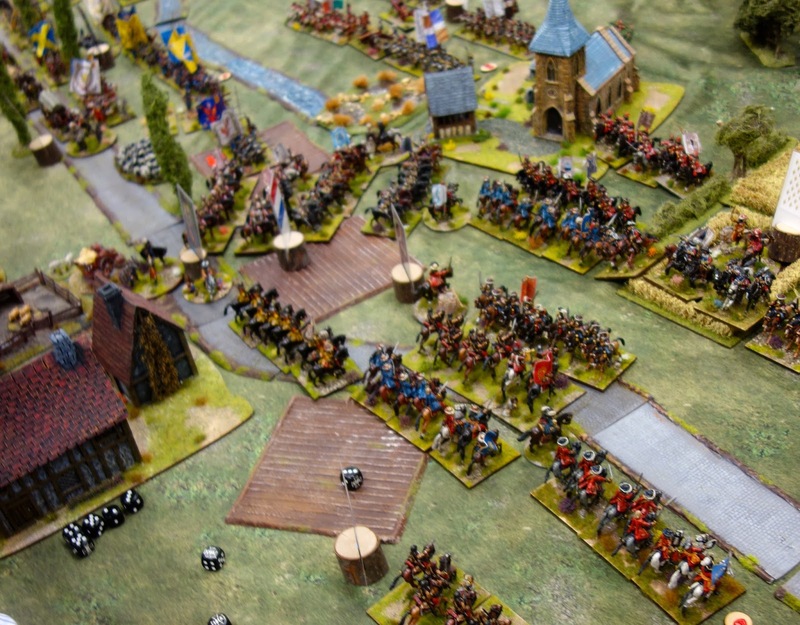 The Gardes Francais, Gardes Suisse and Fusiliers du Roi advancing on the Allies. Conde looks on as his plan starts to fall apart. The team: James (Grimsby), Tim (Mansfield or thereabouts), John (Stockton), Barry (Mansfield), Me (up the Dale), Douglas (Falkirk) and Paul (Grimsby). Many thanks to you all, and safe journeys home. The prime mover in all this, Mrs CarryingsonuptheDale, Katherine. The game was a great success. Not for the French though who conceded defeat in the final minutes of the show. We received loads of positive feedback about the game along the lines of 'spectacular', 'enormous' colourful' and 'oh like in season 2 of Versailles?' I certainly enjoyed myself as did the guys who were largely strangers to each other (not Tim/Barry or father and son Paul/James). I didn't get much time to circulate around the traders and the other games. I did however catch up with lots of old friends and acquaintances and actually talked face to face with several Facebook buddies as well. Remarkably I could still stand up at the end of the day, even if I was at a bit of an angle, and as I write this my body is still reminding me how knackeringit is putting on a game at a show. More remarkably I didn't spend a penny (of the monetary definition anyway) as I only collected a pre-ordered bag of Savoyard mountain guns off Graham at Cran Tara and was given free a pack of dancing Gypsey girls of Stuart of Colonel Bills. Charles of Hellion also let me have a couple of books free of charge on the understanding that I would write a review of them both on Amazon and on this blog, of which more in another post after I've read them. Thanks again to 'the Team' who can all now say that they've been Carrying on up the Dale and got away with it. What a great looking game Colin. 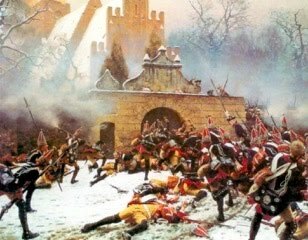 There’s something about this period that outdoes the marlburian, seven years war and napoleonic in terms of its finery and flamboyant uniforms and you’ve done a smashing job of bringing this to the fore. thanks Stuart. It's the flags and non.uniformality if the units. Seneffe looks absolutely superb sir. Really well done. I laughed at the 'Versailles' comment. Of course, if you'd done a BBC version of Seneffe, they would have had incorrect uniforms, no pikes, and blokes who look nothing like their historical counterparts (oh yes, and lots of shagging LOL). Well done - great game. First of all, glad you had a great day and appear to have survived the exercise in decent shape! The game looks every bit as good as I expected it would. The pictures of the other games are instructive too, mostly historical which for me would be a major plus at any show. I really like the train too, I wonder if it was scratch built or a commercial product? I was truly in awe at your game, considering all the challenges you faced putting it on. thanks Joe. sorry you couldn't stay longer or even play. Another time I hope when you're feeling better. Colin, thanks for sharing the pictures of the show and esp the Seneffe game. 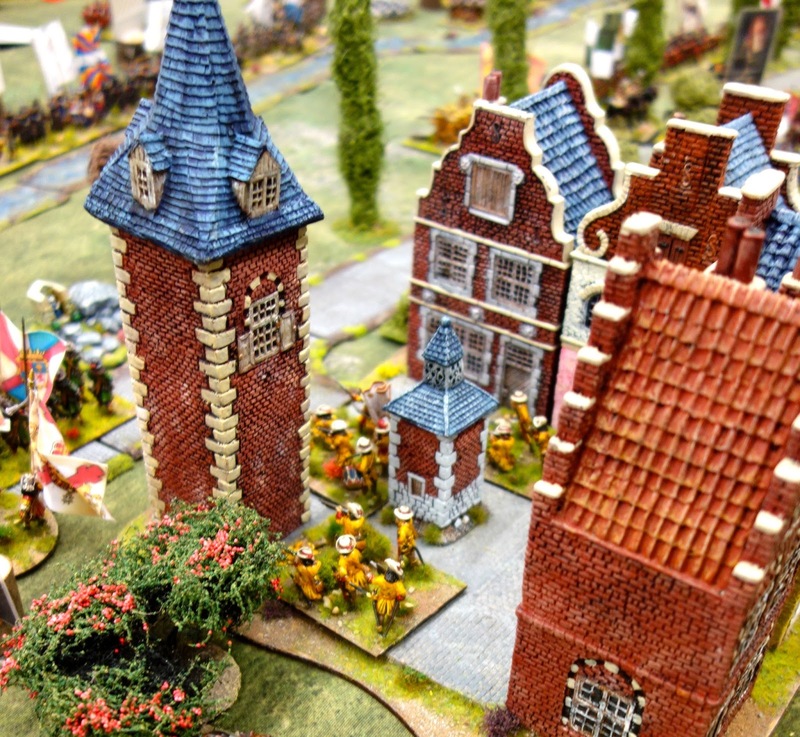 It is looking spectacular and it always good to see Dutch troops on the wargames table. Thanks Jan. I love the Dutch Army of William of Orange,especially for this period. Firstly I'm glad you all had a great day out and that you survived it without your back giving you too much gip. Hope you have recovered today? Secondly the game looks fantastic! This is the sort of game that I love and must really try and get up to the show next year. I need to gain some brownie points from SWMBO. Last and by no means least, thankyou for posting some nice pics of other games at the show. thankyou Steve. It was well worth the effort. What are you feeding your wife to get her on board like this? She enjoys seeing me happy. And I am the chef at home. Great looking game Colin! It's great to see these less common wars gamed, and gamed so well. Well done to you and especially to the Mrs for doing the organizing and photos. Nicely done Colin. Big games can be taxing both from a logistical standpoint and from a physical one too. I always forget to sit down during my games, which can ease the physical stress of hosting a long game. thanks Jim. thankfully I can't stand up for long without falling over. A veritable feast for the eyes in every instance! My Sunday has been made. Excellent game and well planned and delivered by Colin and Katherine. I had the honour of leading Prince Williams army, although it was my generals who gave the Sun King a bloody nose at either end of the field, whilst i skulked in the centre. The show was very strong on the games front and as COlins pics demonstrate, covered a wide range of the less well trodden eras as well at the favorites. The 1848 train is scratch built and Conrads collection of 1848 42mm figures are most impressive. I wished Id taken Fritz's advice and sat down at some point, legs were feeling it once the rush of battle had subsided. 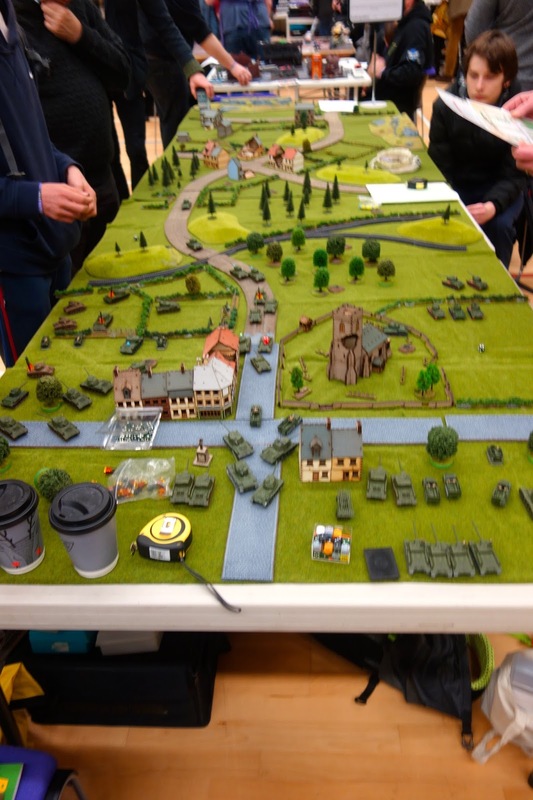 Well done to Leon for organising such a good show to end our (North East) wargaming season. thanks John. Glad you enjoyed your day. Excellent all round Colin, big games at shows are a bit out of fashion, but this looks splendid.Well done to all involved. thanks Robert. Big games are what it's all about surely? Thanks for coming along this year Colin and for putting on such a great looking game. We'll have a spot reserved for you next year as well if you want it! Many thanks. I enjoyed it immensely. As Arnie said "I'll be back" assuming I'm not locked up somewhere lol. No worries, we'll be in touch next year! Bloody brilliant, a fine example of the hobby. Nice to see lots of other great looking historical games too. thanks Phil. As you know I like big games. Proper warming. Wonderful write up Colin and especially enjoyed the photos of your game. Great to see those gorgeous Hovels buildings out as well. Colin - it was a privilege to take part and we, James and I, had a great day. Thank you. Thanks for posting these photos of lots of magnificent games. Seneffe looks to have been "Best of Show" and great fun as well. 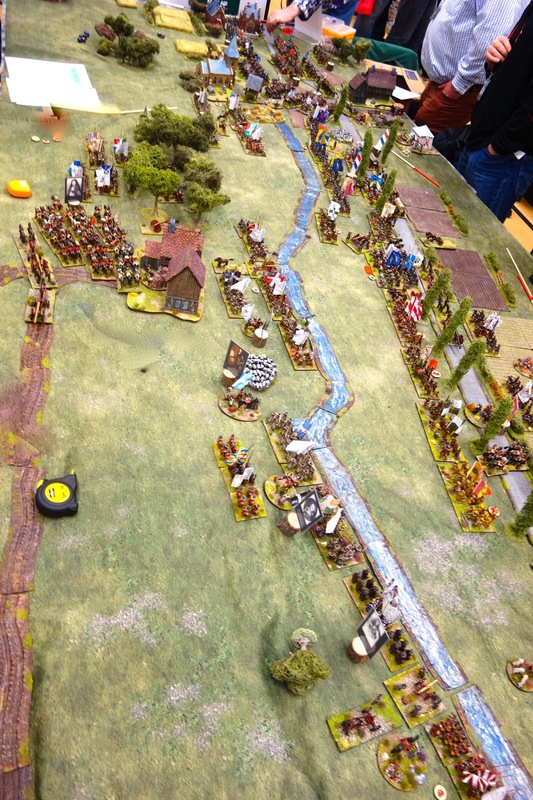 It’s also nice to see some shots of Conrad Cairns’s Hungarian War game. thanks Aly. My favourite collection. Thanks for putting on that wonderful game, truly epic to behold! Thanks. It was worth the effort. Your games are always a treat Colin and this one looks brilliant. Glad you had such a good day, and well done Katherine!